COOPERSTOWN – Lloyd Charles McMurdy passed away November 27, 2018, from metastatic multiple myeloma following a couple years at Cooperstown Center for Rehabilitation and Nursing. He was born January 22, 1927, to Lillie Roth McMurdy and Ollie McMurdy. 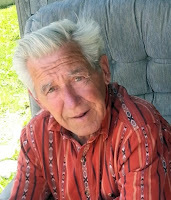 In his youth he was active in 4H and sports, and graduated the top of his class in 1944 from Jefferson Central School. In late 1944 he was stricken with polio, which affected the use of his right arm. With all the challenges he faced, he coped with a smile and never felt disabled. In 1949 he graduated from Cornell University. He joined GLF – which became Agway – in the accounting department and began pioneering their large frame computer system. He worked as the Information Technology Manager for Agway Petroleum, retiring after 45 years to enjoy spending time with his family. On October 29, 1955, Lloyd married Mary Sue Hedman. He was most noted as a gentleman. He was also a great provider, wonderful husband and father and loving grandfather. He was preceded in death by his wife, Mary Sue Hedman McMurdy and a brother, Roy Arthur McMurdy. 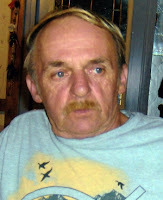 Lloyd is survived by his daughters, Marjorie Anne McMurdy Struckle (David) and Cheryl Lee Kane (John); grandchildren Melissa Struckle and Danielle and Jeffery Kane; a sister, Lillie McMurdy Koenig; a brother-in-law, Edward Hedman; and many nieces and nephews. Family and friends are welcome to pay their respects from 1-3 p.m. Saturday, December 1, 2018, at the Connell, Dow & Deysenroth Funeral Home, 82 Chestnut Street, Cooperstown. At 3 p.m. there will be a funeral service with the Rev. Betsy Jay, Chaplain at Bassett Medical Center in Cooperstown, officiating. The Service of Committal and Burial will be at 1 p.m. Monday, December 3, 2018, at White Chapel Memory Gardens in Dewitt. The family would like to thank the staff at Cooperstown Center for their excellent care of Lloyd during his stay there, as well as the Bassett Oncology Department. In lieu of flowers memorial donations may be made to the Louis Busch Hager Cancer Center Fund, 1 Atwell Road, Cooperstown, NY 13326. HARTWICK - Millie A. Merrifield, a long-time resident of Hartwick, died Saturday morning, November 3, 2018, at her daughter’s home in Bridgehampton. She was 86. Born at the family farm on Kelsey Hill in Edmeston on December 27, 1931, she was a daughter of John and Elizabeth (Hutira) Sterusky. She was a 1950 graduate of Edmeston Central School. In 1958 Millie met the love of her life, Franklin D. Merrifield. They were married on September 19, 1959, in New Berlin and had a beautiful union for 58 years. They made their home first in Schuyler Lake and then for 50 years in Hartwick. Throughout their marriage, Millie and Frank were active members of the Schuyler Lake Congregation of Jehovah's Witnesses. Together they loved reading and studying the Bible and teaching people about the hope it holds out for everlasting life here on earth. Millie loved her life of caring for others and making a loving, warm and secure home for her children, elderly parents and husband. She adored her garden and animals, never losing her love of “life on the farm”. She and Frank together enjoyed travelling, making many trips abroad and spending many winters in the Southern California and Florida sunshine. A description of her life would be incomplete if it didn’t include her delight of a beautiful meal and passion for shopping! She is survived by many dear friends in the Schuyler Lake Congregation of Jehovah's Witnesses; two daughters, Ginger (Tim) Lucas of Bridgehampton and Melissa (Duane) Piatt of Soldotna, Alaska; and grandchildren Zoe Lucas, Zack Piatt and Eve Piatt. She is also survived by two nieces, Connie (Henry) Gregory and Laurie (Lenny) Melillo, both of Garrattsville. She was predeceased by her husband, Frank, in November 2017, and one sister, Elizabeth “Betty” Ward, of Edmeston. A Memorial Service will be held at 2 p.m. Sunday, November 18, 2018, at the Kingdom Hall of Jehovah's Witnesses, 7396 State Highway 28, Schuyler Lake. Interment will be private in Hartwick Cemetery. COOPERSTOWN – Lois J. Gengenbach, a long-time resident of Cooperstown, passed away Tuesday afternoon, October 30, 2018, at St. Elizabeth Medical Center in Utica. She was 84. Born November 29, 1933, in Hudson, she was a daughter of Michael and Helen (Hover) Bessman. She married William H. Gengenbach, also from the Hudson area, on September 4, 1954, at The Church of St. Mary in Hudson. Following her husband’s graduation from Cornell University in 1955, Lois and Bill moved back to the Hudson area to be near their respective families. In 1962, the Gengenbach family moved to Cooperstown where Bill began work as an agent for the Cornell Cooperative Extension of Otsego County. From 1973 to 1982 they owned and operated a farm in Hartwick Seminary and later settled into their home on upper Main Street in the Village. For many years, Lois was employed as a personal health aide at The Upstate Home for Children and the Clara Welch Thanksgiving Home. 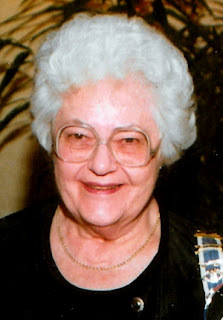 Throughout her entire life, Lois was a faithful Roman Catholic, and for many years was a devoted communicant of St. Mary’s “Our Lady of the Lake” Roman Catholic Church in Cooperstown. She will be fondly remembered as a wonderful wife, mother, grandmother and great grandmother, and will be greatly missed by all whose lives she touched. Lois is survived by five daughters and three sons-in-law, Karen Beebe of Scranton, Pennsylvania, Laurie Gengenbach of Julian, North Carolina, Susan and Todd Snelson of Oneonta, Barbara and Michael Hatalla of Clifton Park and Maria and Godwin Cotter of Winnipeg, Manitoba Canada; three sons and one daughter-in-law, William “Billy” Gengenbach of Hawaii, Brian Gengenbach of Worcester and Mark and Lori Gengenbach of Havre de Grace, Maryland; many, many grandchildren and great grandchildren; one brother, David Bessman of Albany; and many nieces and nephews. 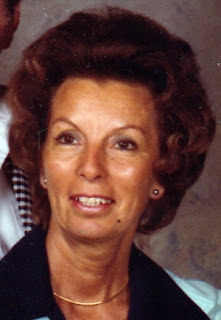 She was predeceased by her husband Bill, who died May 12, 1997; one son, Michael Paul Gengenbach who died June 5, 2018; a son-in-law, Wayne Beebe, who died December 6, 1999; a brother, Michael Everett Bessman who died April 7, 1998; and a sister, Pauline H. Kirsch who died May 10, 2018. The Gengenbach family will receive friends from 4-6 p.m. Tuesday, November 13, 2018, at the Connell, Dow & Deysenroth Funeral Home, 82 Chestnut Street, Cooperstown. The Liturgy of Christian Burial will be offered at 10 a.m. Wednesday, November 14, 2018, at St. Mary’s “Our Lady of the Lake” Roman Catholic Church, 31 Elm Street, Cooperstown, with Fr. John P. Rosson, pastor, presiding. Assisting will be Fr. David Wm. Mickiewicz, pastor of St. Mary’s Church in Oneonta. The Service of Committal and Burial will follow in St. Mary’s Cemetery, Index. Expressions of sympathy in the form of memorial gifts may be directed to a charity of one’s choice. COOPERSTOWN – Helen “Pat” Roberts, a long-time resident of Cooperstown, died April 12, 2018, at Absolut Center for Nursing and Rehabilitation in Endicott. She was 93. 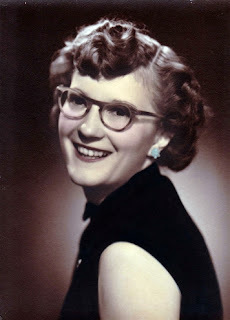 Born May 28, 1924, in Lowville, Pat was the daughter of John and Anna (Kosdemba) Paterek. After graduating from high school, she attended nursing school and became a Registered Nurse. She moved to Cooperstown and was employed for many years at Mary Imogene Bassett Hospital. Soon after she came to Cooperstown she met Lloyd A. Roberts who was working as a room clerk and bookkeeper at The Cooper Inn and The Otesaga Hotel. On April 19, 1952, Pat and Lloyd were united in marriage at a ceremony in Roxbury. During her years in Cooperstown, Pat served as a caregiver to young and old alike for several area families. 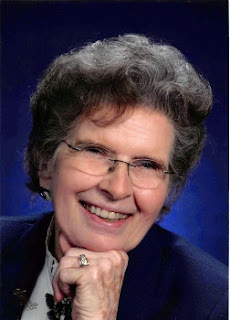 A faithful and devoted member of the Cooperstown United Methodist Church, Pat was a member of the United Methodist Women. She especially enjoyed quilting and knitting and was a member of Prayerfully Made, a knitting group at the Clark Sports Center. Pat also volunteered her time with the Bassett Auxiliary. Pat is survived by one son, Donald Roberts, and a granddaughter, Chelsea. 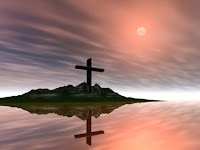 She was predeceased by her husband, Lloyd, who died October 22, 1992, and their son, Timothy John Roberts, who died unexpectedly July 4, 1996, in Germany at the age of 42. A Memorial Service will be offered at 10 a.m. Saturday, November 3, 2018, at the Cooperstown United Methodist Church. A coffee hour will be served in the Fellowship Room following the service. All who remember Pat are encouraged to attend this celebration of her life. In lieu of flowers, please consider a donation to the Memorial Fund of the Cooperstown United Methodist Church, 66 Chestnut Street, Cooperstown, NY 13326. The Connell, Dow & Deysenroth Funeral Home in Cooperstown is assisting Pat’s church family. COOPERSTOWN – Charlotte R. Kniskern, a native of Cooperstown and long-time resident of Lake Street, passed away Wednesday morning, October 17, 2018, at Teresian House in Albany. She was 95. Born September 18, 1923, at Mary Imogene Bassett Hospital in Cooperstown, Charlotte was the only child of Charles A. and Katherine R. (Tierney) Kniskern. After graduating from Cooperstown High School with the Class of 1941, she attended Cazenovia College and graduated in 1943. A Registered Nurse, Charlotte was first employed at Mary Hitchcock Memorial Hospital in Lebanon, New Hampshire, and then Faxton Hospital in Utica. She moved back to her native Cooperstown and for many years served as nurse anesthetist at Mary Imogene Bassett Hospital. Charlotte is survived by several cousins. A graveside service will be offered at 10:30 a.m. Tuesday, October 23, 2018, in the Fly Creek Valley Cemetery on Cemetery Road in Fly Creek where Charlotte will be laid to rest alongside her parents. Rev’d David Wm. Mickiewicz, Pastor of St. Mary’s Catholic Church in Oneonta will officiate. In lieu of flowers memorial gifts may be directed to Teresian House Foundation, 200 Washington Avenue Extension, Albany, NY 12203. 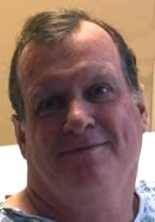 MESQUITE, TEXAS – Roger William Newell, a native of Cooperstown, passed away October 5, 2018, in Mesquite, Texas following a courageous battle with cancer. He was 70. Born July 6, 1948, in Cooperstown, he was the son of Roger Gavin Newell and Edna Louise Bliss Newell. 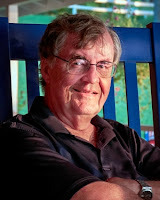 After graduating from Cooperstown Central School with the Class of 1966, he attended Stony Brook University on Long Island, and graduated with a bachelor’s degree in history. 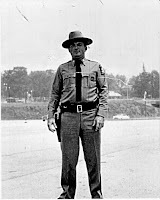 Since 1979, he had been a resident of the Dallas, Texas area and for 39 years was employed there as an engineer. A quiet man, he was very involved with amateur (ham) radio with his brother-in-law Craig and nephew Christopher. Roger is survived by his mother, Louise Newell of Pompano Beach, Florida; his wife, Teresa of Mesquite, Texas; his son, Colonel Matthew Newell, USAF and his wife, Tiffany, and their children, Brody and Rowan of Missouri; two sisters, JoAnn Dow (John Schallert) of Cooperstown and Cheryl Phillips (Craig Phillips) of Herkimer; two step daughters, Amy and Kim; step grandchildren and great grandchildren; and other family members. He was predeceased by his father, Roger G. Newell of Cooperstown, who died May 30, 2008. Graveside services were held October 10, 2018, at Strong Cemetery in Henderson, Texas. Donations in Roger’s memory may be made to St. Jude Children’s Research Hospital, 501 St. Jude Place, Memphis, TN 38105. The Connell, Dow & Deysenroth Funeral Home in Cooperstown is assisting the family locally. COOPERSTOWN – Karl Dykstra, a local contractor who built many fine homes in the Cooperstown area, passed away Monday afternoon, September 10, 2018, at Bassett Medical Center in Cooperstown. He was 57. Born July 28, 1961, in Suffern, he was one of six children of Fred and Fernande “Nonnie” (Deligny) Dykstra. Karl was a strong and loving husband and father. He made family gatherings memorable with his wonderful sense of humor and antics. 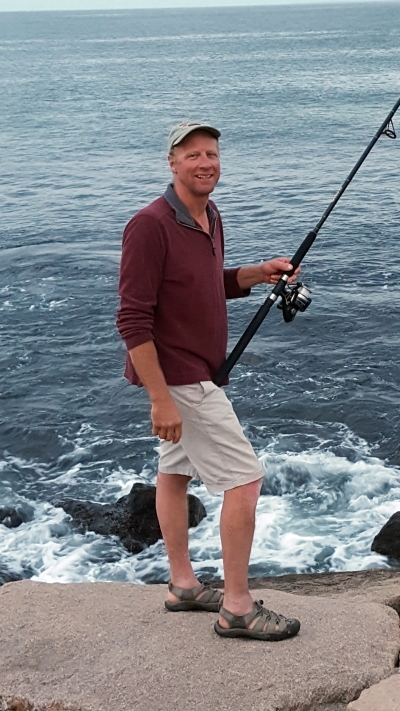 Karl’s hobbies included fishing, camping and golf. He enjoyed skiing with his children in winter and evenings on his boat with family in the summer. In March 1977, his father and mother moved the family from Campbell Hall to Otsego Hills Farm in Pierstown. Karl worked on the farm with his siblings until graduating from Cooperstown Central School with the Class of 1979. From there he went to work for Bundy Concrete. In 1984, Karl and his brother Fred started Dykstra Construction with their father and mother, and through the years were responsible for many of the beautiful homes in the Cooperstown area. Karl’s creativity and care is woven into every home he built. On November 19, 1988, Karl married Catherine “Kitty” Coleman in a ceremony at St. Mary’s “Our Lady of the Lake” Roman Catholic Church in Cooperstown. They enjoyed 30 years of marriage and were blessed with four children: Karl Dykstra, Jr. and his fiancée, Becky, William Dykstra and his fiancée, Hilari, Julie Dykstra and Elizabeth Dykstra. He is also survived by his mother, Nonnie Dykstra; two brothers and sisters-in-law, Fred and Dolores Dykstra, Jr., and Eric and Maureen Dykstra; three sisters and brothers-in-law, Joanne and Bruce Osterhoudt, Jeanine and Jason Harter and Jerilynn and Bruce Bachanas; many nieces and nephews, aunts, uncles and cousins; his mother and father-in-law, Cathy and Bill Coleman; and his wife’s siblings, Susie Coleman and Donna and Bobby Clifford. He was predeceased by his father, Fred Dykstra, who died December 4, 2014. Friends may call and pay their respects from 4-6 p.m. Friday, September 14, 2018, at the Connell, Dow & Deysenroth Funeral Home, 82 Chestnut Street, Cooperstown. At 6 p.m. that same evening there will be a service at the funeral home with Deacon Randy Velez officiating. Burial will be private in Lakewood Cemetery, Cooperstown. His family would like to thank all of the wonderful and caring people from Cooperstown EMS and Bassett ICU who cared for them during this time. 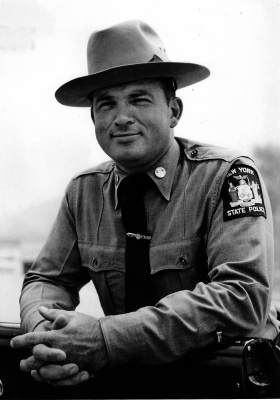 In lieu of flowers please send donations to the Cooperstown Emergency Squad, PO Box 322, Cooperstown, NY 13326. COOPERSTOWN – Sandra Jane Bliss, 70, died peacefully Monday evening, August 27, 2018, surrounded by her loving family at her home on County Highway 33 following a courageous battle with cancer. Sandy was born in Cooperstown on November 12, 1947, the daughter of Claud and Anna Bliss. She graduated from Cooperstown Central School in 1965 and SUNY Oneonta in 1969, received her Masters in Education from SUNY Cortland in 1974, and began her 40 year teaching career at Frankfort-Schuyler Central School in 1969. Sandy was a life-long learner. Naturally inquisitive, she furthered her education, perfecting her craft and feeding her passions – math, science, travel and the fine arts. Committed to equality, she worked tirelessly to ensure that educators were treated fairly. She was a dedicated member and officer of the New York State United Teachers (NYSUT), serving in leadership roles for her entire career and on the NYSUT Board of Directors for 24 years. Due to her strong leadership skills, she was included in a small group of educators who travelled overseas to Poland as part of NYSUT’s Solidarity Project. 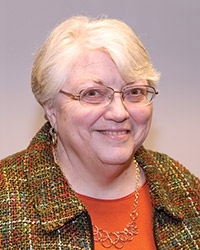 Sandy was the first Director of the Mohawk Regional Teacher Center and, following her retirement in 2009, continued her advocacy by serving on the Retired Teachers Council, the Otsego County Senior Citizen Advisory Board, and at the Cooperstown Food Pantry. Sandy took great pride in her family’s endeavors and accomplishments. 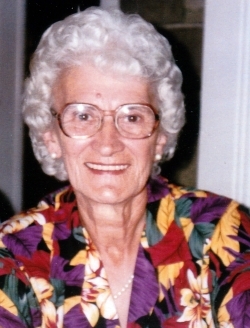 The oldest of eight children, she is survived by her siblings: Constance Bliss, Patricia Bliss, Amy Bliss, David (Kim) Bliss, and Laura (William) Bliss Lamb, all of Cooperstown, Timothy (Janet) Bliss of Fredericksburg, VA, and Joanne (Richard) Reynolds) of Rising Fawn, GA. She is also survived by her nieces and nephews, Timothy (Heather) Bliss, Brendan Bliss and Kylee Bliss, and Tad (Becky Hutton) Bliss of Fredericksburg, VA, Rachel (Kyle) Grup and Kasey Grup of Cooperstown, Eric Bliss of Brooklyn and Ethan Bliss and fiancée Samantha Whitehouse of Saratoga Springs. She is further survived by her uncle, Carl Bliss of Encinitas, CA and aunt, Josie Bliss of Cooperstown, as well as numerous cousins. Friends may call at the Connell, Dow & Deysenroth Funeral Home, 82 Chestnut Street, Cooperstown, from 12 Noon until 3 p.m. on Saturday, September 1, 2018, when the family will be in attendance. A service will follow at 3 p.m. at the funeral home. In lieu of flowers, Sandy’s family requests donations to Catskill Area Hospice and Palliative Care, 297 River Street Service Road, Oneonta, NY 13820 or the Cooperstown Food Pantry, 25 Church Street, Cooperstown, NY 13326. HARTWICK – Pamela J. Stewart, 62, passed away peacefully Tuesday night, August 14, 2018, with family by her side at her home on Buchanan Drive in Hartwick following a courageous battle with cancer. She was born July 2, 1956, in New Berlin, a daughter of Franklin Jay and Wanda L. (McLean) Stewart. After graduating from Cooperstown Central School with the Class of 1974, she attended college. For many years she served as a residential aide at The Meadows, the Arc Otsego in Hartwick, and Springbrook in Oneonta. At one time she also worked for a cabinet maker in Virginia, a job she truly enjoyed. She had a love for hunting and fishing, and was an avid fan of the New England Patriots. Pamela is survived by her children, Alicia Poole and husband, Luke of Hartwick, John Franklin Field and his significant other, Christina Jones of Davenport and Sean Patrick Field and his significant other, Julie Young, along with her two children, Kalynn and Kinsley, of Michigan; seven grandchildren, Dante and Andrew Wellman, Ian and Claire Poole, and Aiden, Jace and Gabriel Field; two sisters, Jodi L. Bottita and husband, Jack of Hartwick and their children, Jack, Roxanne and Chris, and Lori K. Stewart and wife, Melissa Cook of Rensselaer, and Lori’s son Sam Stewart. She was predeceased by her mother, Wanda L. Stewart who died July 30, 1999; her father, Franklin Jay Stewart who died June 22, 2004; a daughter, Emma-Leigh Frances Stewart who died August 19, 1994; and her brother, Willard Wayne Stewart who died November 5, 1977. A Memorial Service will be offered at 3 p.m. Saturday, August 25, 2018, at the Hartwick Christian Church, with the Rev. Laverne H. Saxer, pastor officiating. Immediately following the service, Pamela’s family will receive friends in the church hall for a time of refreshment and fellowship. Expressions of sympathy in the form of memorial gifts may be made to the Hartwick Rod and Gun Club, PO Box 251, Hartwick, NY 13348. COOPESTOWN - Thomas J. Selover of Cooperstown, NY, a devoted family man, egalitarian and friend to all, passed away on August 8, 2018, at the age of 76. Born on April 24, 1942, in Merrill, WI, Tom’s parents, Anne and John, relocated his family to Murfreesboro, TN when Tom was 14. In Murfreesboro, Tom would go on to earn both a Bachelor’s Degree in Biology and a Master’s Degree in Chemistry from Middle Tennessee State University. Tom began his career as a science teacher in Hernando County, FL, then earned his Ed.D. in Educational Leadership and Policy from the University of Florida in Gainesville, becoming headmaster at Oak Hall Academy. It was in Florida where Tom met the love of his life and his bride for almost 47 years, Lynda, marrying in December 1971. Tom and Lynda crafted a journey-filled family life through cross-country travels and life-enriching experiences. In 1980, Tom and Lynda relocated to Cooperstown, where he would become a serial entrepreneur and businessman. Locally, Tom was the mastermind of several real estate projects, including his favorite, Hyde Bay Colony, while his love for thoroughbred horses developed from a childhood passion to a professional enterprise and personal occupation. Tom became well-known on the racetracks up and down the East Coast and in the sales barns of Keeneland and the Ocala Breeder’s Sales. In Cooperstown, Tom served on the Cooperstown School Board, the Village Library Board and volunteered with the Cornell Cooperative Extension. His dedication to his family was always on display, especially with each of his three children, encouraging, mentoring and transporting them throughout their youth activities and helping them grow into their lives. Perhaps nothing defined Tom more than his willingness to engage everyone in conversation, with radiating kindness and a gentle spirit. Tom’s greatest pleasure came in reflecting on what he learned from others; whether it was a random encounter with a stranger on a park bench or in providing his own commentary with family and neighbors on the developments of the day. An avid reader, vociferous lawn mower and curious interviewer, Tom was always at the ready to help diagnose, problem solve and calculate the next right outcome. Tom’s zest for life was never more apparent than in sharing “Porch Time” with a glass of wine at Hyde Bay Colony. His devoted love of box wine set the tone in creating a warm, relaxed and loving environment for his family and neighbors to come together to share a story, have a laugh and discuss life’s challenges and opportunities from each day. He was tremendously proud and honored by his family and friendships that flowed freely in conversations. 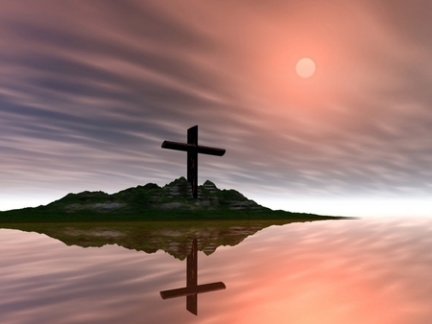 Tom was preceded in death by his father, John, and his mother, Anne, along with his brother, Daniel. He is survived by his wife, Lynda and their three children: John and his wife, Amy, of Tallahassee, FL, and their four children, Molly, Ian, Ella and Lilly; David and his fiancée Natasha of Cooperstown and Natasha’s son Max; and Whitney and her fiancé Brad of Fayetteville, along with so many friends who were like family in Cooperstown and Hyde Bay Colony. 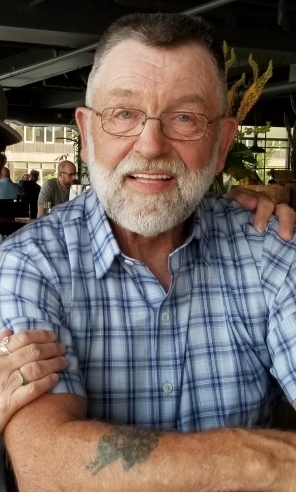 A celebration of Tom’s life will be held at Hyde Bay Colony (1445 County Highway 31) on Saturday, August 25 from 3-5 p.m. All are welcome to attend and share a memory of Tom. In lieu of flowers, the family requests donations be made to a scholarship fund that will be established in Tom’s name at Cooperstown Central School. Donations may be made payable to “Cooperstown Central School”, along with a note stating that the gift is to be directed to the Thomas J. Selover Memorial Scholarship. Donations may be mailed to Cooperstown Central School, Attention Business Manager, 39 Linden Avenue, Cooperstown, NY 13326. The Connell, Dow & Deysenroth Funeral Home in Cooperstown, NY is serving the family. SODUS POINT, NY – Charles A. Brown, 80 of Sodus Point, passed away Tuesday afternoon, July 17, 2018, at Guthrie Corning Hospital in Corning, NY. He was born July 8, 1938, in Walton, NY, the son of John Francis and Mary (Denham) Brown. Charles married Carol Beecher on September 8, 1962, in St. John the Baptist Catholic Church in Walton, and together they had five children. After graduating in 1956 from Walton High School-where he played baseball and basketball-he attended Siena College, graduating from there in 1961 with a BBA degree and a major in accounting, and later became a Certified Public Accountant. After graduation from college Charles was employed by Price Waterhouse & Co. in New York City for five years. He then worked for many years in the controllership function for several medium size companies, and ended his career as a self-employed financial consultant. He lived in several locations in the mid-Atlantic region, including Walton, NY, Goshen, NY and Moorestown, NJ. After he retired, Charles and Carol spent winters at their residence in The Villages, FL. Charles loved his family and enjoyed golf, genealogy, reading and travel, especially to Europe. He was a member of the American Institute of Certified Public Accountants, the New York State Society of Certified Public Accountants, the Orange County, NY Genealogical Society, the Villages, FL Genealogical Society and the Walton Historical Society. He is survived by Carol, his wife of 55 years; his five children, Dr. Matthew (Maria) Brown of Horseheads, NY, Michael Brown of Boulder, CO, Beth (Eric) Foertsch of Weston, CT, Patrick (Kelly) Brown of Boulder, CO, and Kathleen (Andrew) Chigounis of Moorestown, NJ; nine grandchildren, Brian, Sean and Patrick Brown, Clare, Daren and Andrew Foertsch, and Isabelle, Abigail and James Chigounis; and numerous nephews and nieces. He was predeceased by his brother, Robert. Memorial donations may be made to St. Jude Children’s Research Hospital, 501 St. Jude Place, Memphis, TN 38105. Arrangements are under the care and guidance of the Connell, Dow & Deysenroth Funeral Home in Cooperstown, NY. HARTWICK – Timothy M. West, Sr., beloved husband, cherished father and a dedicated member of the Hartwick community, passed away peacefully surrounded by his family at home Monday afternoon, July 2, 2018, following a courageous battle with glioblastoma. He was 61. A native of Long Island, Tim was born on October 29, 1956, in Bethpage, a son of Hartland St. Claire West and Corinne Griffin Hanley West. On April 22, 1978, he married Victoria Maliszewski-also a Long Island native-at St. Philip Neri Roman Catholic Church in Northport. They settled there and began raising a family. In November of 1991, they moved from Long Island to Hartwick where he established West Auto Transportation. 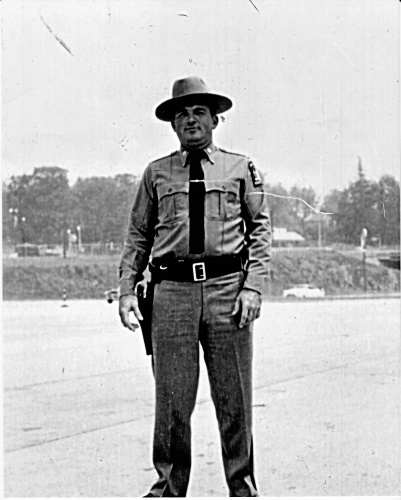 A certified Automotive Service Excellence (ASE) mechanic, Tim served for the past several years as a motor vehicle equipment mechanic for the New York State Police Troop C in Sidney. A man dedicated to serving his community, Tim was a long-time member and current Assistant Chief of Hartwick Fire Department Company #1 and was a former Lieutenant with the Hartwick Emergency Squad. Of the Roman Catholic faith, he was a communicant of St. Thomas the Apostle Roman Catholic Church in Cherry Valley. Tim will be remembered for always helping anyone in need, as well as for his great work ethic and professional and responsible character as an automotive mechanic. Most of all, he will be missed by his family with whom he enjoyed spending as much time as he could. He will be greatly missed. Tim is survived by his beloved wife of 40 years, Victoria West of Hartwick; his cherished children, Ryan West of Hartwick, Timothy West, Jr. and wife, Joelle of Hartwick, Patrick West of Utica and Thomas West and wife, Carolyn of the State of Maryland; his grandchildren (who affectionately called him “Pop”), Hartland, Lillian, Grace and Ellis Frable, and Shelby, Joseph and Andrew West; and his mother, Corinne West Frassa of Virginia. He is further survived by one sister, Patricia Lorenzen (Peter) of West Virginia; two brothers, Michael West (Virginia) and Daniel West (Christine) of Northport; many beloved nieces and nephews; and his wife’s siblings, Joanne Allison of Hartwick, Mary Ellen Hughes (Chris) of Northport, Patricia Altadonna (Jeff) of Centerport, and Christine Feehan (Bill) of Aurora, Illinois and their families. He was preceded in death by his father, Hartland St. Claire West; his eldest brother, Sean West; his mother and father-in-law, Eleanor P. and Joseph G. Maliszweski; and a brother-in-law, Robert G. Allison, Jr.
Friends may call at the Connell, Dow & Deysenroth Funeral Home, 82 Chestnut Street, Cooperstown, on Thursday, July 5, 2018, from 2 - 4 and 6-8 p.m. when Tim's family will be in attendance. Following a private Mass of Christian Burial, the Service of Committal and Burial will be at 1:30 p.m. Friday, July 6, 2018, at Hartwick Cemetery. Later that afternoon all are welcome to attend a Celebration of Life at 5 p.m. at Hartwick Fire Department Company #1. Tim's family extends their heartfelt thanks and deep appreciation to members of the New York State Police for their selfless dedication and support throughout this difficult time. The family further extends their appreciation to all the Hospice nurses and aides who provided comfort and care for Tim at the end of his life, as well as to members of the community too numerous to name who gave of themselves in so many different ways during his courageous battle with cancer. In lieu of flowers, please consider a memorial gift in Tim’s name to the New York State Trooper Foundation at nystf.org, or Hartwick Fire Department, Company #1, PO Box 86, Hartwick, NY 13348, or Hartwick Emergency Squad, PO Box 208, Hartwick, NY 13348, or Catskill Area Hospice and Palliative Care, 297 River Street Service Road, Oneonta, NY 13820, or the Thomas Lindsey Foundation at thomaslindseyfoundation.com. SPRINGFIELD CENTER – Dorothy Marie Roediger, formerly of Richfield Springs and Spring Hill, Florida, passed away June 19, 2018, at her daughter’s home in Springfield Center. She was 88. Born March 25, 1930, on Staten Island, Dorothy (“Dot”) was the daughter of William Joseph and Marie (Konroyal) Romaine. Dot was as funny and witty as she was elegant. Beautiful inside and out, she was never known to say an unkind word about anyone. Dot loved growing beautiful flowers and arranging them artfully. She was a loving mom and homemaker. Dot was one of Jehovah’s Witnesses and she enjoyed sharing Bible knowledge with others. In 1955, she married Richard ("Rick") William Roediger in Teaneck, New Jersey. They lived in Park Ridge and Hackensack, New Jersey. They moved to Warwick, New York and eventually to Exeter to raise their family. Following retirement, Dot and Rick operated Wagon Wheel Antiques on Route 20 in Richfield Springs, New York, where they lived until 1994. After wintering in the south for a number of years, they moved to Florida to enjoy a warmer climate. Their marriage was a loving union, full of devotion, support and respect. Following her husband’s death in 2014, Dot came to reside at Woodside Hall in Cooperstown. In addition to her parents, Dot was predeceased by her husband of 59 years, Rick Roediger, who died in 2014, and a daughter, Gail Marie Wells, who also passed away in 2014. A private memorial gathering will be held at the Otsego Golf Club in August. The family wishes to thank the staff at Woodside Hall who cared for Dot’s daily needs, as well as the nurses and aides at Catskill Area Hospice and Palliative Care who helped provide comfort and care at the end of her life.